For more than 24 years Live Oak Construction has been providing professional Houston roof repairs for homes, commercial buildings, and condominiums. Completing each project we undertake promptly and correctly is our main focus. Our crews are courteous and work diligently to ensure that your needs and expectations are acceded. Each year our crews undergo factory training from each of our manufacturers in order to keep their skills fresh. They learn about the latest technological advances in the industry and how to apply them to our customers’ homes and buildings. This continued education, along with the expertise it provides, is a point of professional pride in our crews. If you’re home is in need of professional contracting services Houston, your first move should be to call Live Oak Construction. 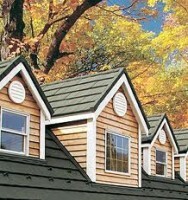 We have been servicing Houston roofs, windows, siding, and other general contacting needs for almost a quarter century.